Our mountain bike journey takes us from the northern Thai city of Chiang Mai through the mountains to the Golden Triangle, where the Mekong River marks the borders of Thailand, Burma, and Laos. 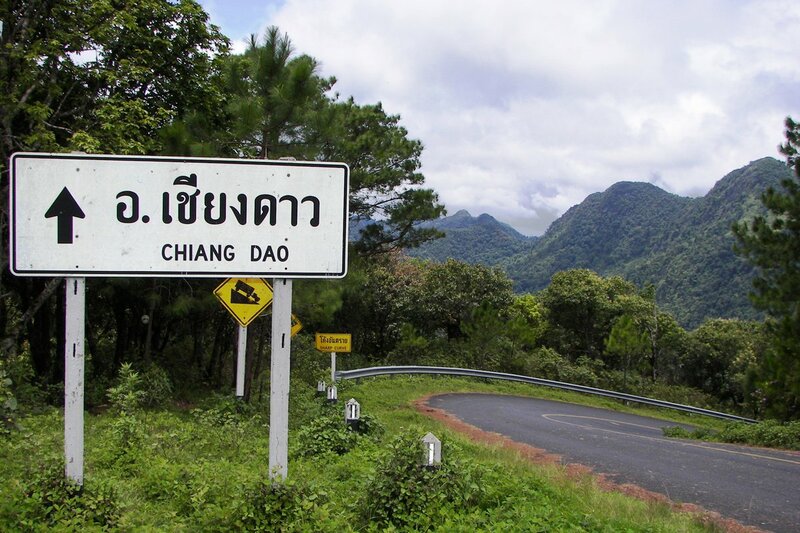 Heading north, we ride through the spectacular limestone mountains of Chiang Dao and the scenic village of Mae Salak, straddling the Mae Kok River. We follow wonderful trails and backroads that have little traffic and fantastic scenery and each night stay in charming, Thai style lodges. On one day, we use a combination of bikes and boats to take us to Chiang Rai. At the Golden Triangle, we visit Doi Mae Salong, in a unique Chinese village, and ride up Doi Tung to visit one of the region's oldest temples and check out the Burmese markets in Mae Sai. After a day's ride along the Mekong River, we transfer back to Chiang Mai and hit the trails one more time as we ride down Doi Suthep. In addition to riding outstanding mountain bike trails, we sample some of the world's best cuisine and stay in authentic and luxury accommodation. We start our tour with a nice and easy ride along the Ping River to the Arts and Crafts Centre of Ban Tawai, where you have time for some shopping before heading back to Chiang Mai. Take a boat ride across a reservoir to the trail head where we ride an outstanding single-track trail through a scenic teak forest to a waterfall. After lunch, we ride an elephant trail to our resort. Ride to Tub Tao Caves, also a temple retreat, and continue cycling on backroads through small villages before lunching in Fang. A flat afternoon ride takes us to the town of Thaton and our riverside resort. We ride to a Lahu village to hitch a long-tail boat downstream to cycle off-road to Ban Ruamitr. After lunch we ride to Chiang Rai, where we can relax at the hotel, go out in the city, or wander around the area. Morning trek through the forest arrives at a scenic waterfall where we have a picnic lunch. Ride up Doi Mae Salong and down to Mae Salong and our overnight resort amidst tea plantations. After a morning visit to a temple, we descend through the forest along some glorious trails and arrive at our resort in time to enjoy the pool. An exciting off-road ride takes us through orchards to visit a horse temple and uphill to Doi Tung. Bike along a ridgeback road with a fast downhill to Mae Sai for the night in the Golden Triangle. Cycle a scenic loop deep into the heart of the countryside surrounding the Golden Triangle. Then visit ancient Chiang Saen on the Mekong River before driving to Chiang Mai for a farewell dinner. Drive up to Chiang Mai's most impressive temple, Wat Phra That Doi Suthep, and then head down on Thailand's most exciting mountain bike trail. a fitting finale to an amazing cycling adventure. My husband and I just finished our bike adventure with the help of Nok and driver Egg. We thoroughly enjoyed our trip and thought it was very well designed with hard days followed by easier cycling days. Each days took bike skills, strength and endurance but it was mostly doable for me as a 67 yr old woman. I did have to push my bicycle up a few of the very steep hills but everyone waited patiently. Our guide,Nok, was the best. He spoke English very well and has a wonderful sense of humor. Egg took good care of us and our bicycles. Never could we have managed to find and explore such rich culture and beautiful Thailand without them. Thanks for a memorable trip. Spice Roads did it again. This is our second trip with them and they got EVERYTHING right. Knowing we were in expert hands with our guide and our driver tending to our needs, we were able to fully immerse in experiencing the culture, exquisite food, and natural beauty of Thailand. Mind-blowing experience. Spice Roads far exceeded our expectations. The accommodations were lovely, the food was fantastic and, most importantly, we were in such good hands with Nok as our guide and Bong as our porter. Nok was so very knowledgeable in answering all our many questions about the culture, the food, and the biology of the area. He was very careful to adapt the tour to our needs. We suffered a few cuts and scrapes and insect bites, which is to be expected and he was always right there to administer first aid. Pong kept the van spotless, kept the bikes in perfect running order checking them thoroughly every day and making tune ups as needed. He made sure we had all kinds of local fruit and delicacies for snacks and observed us quietly to determine our tastes and adapted the fare he offered accordingly. This is just the perfect way for my son and I to spend quality time together making memories that will last us a lifetime.